Last year, Hilton Bandung celebrated its 5th anniversary and organized Asian Culinary Summit, a major culinary event involving various chefs from 5 different sister hotels of Hilton in Korea, China, India, Thailand and Japan. 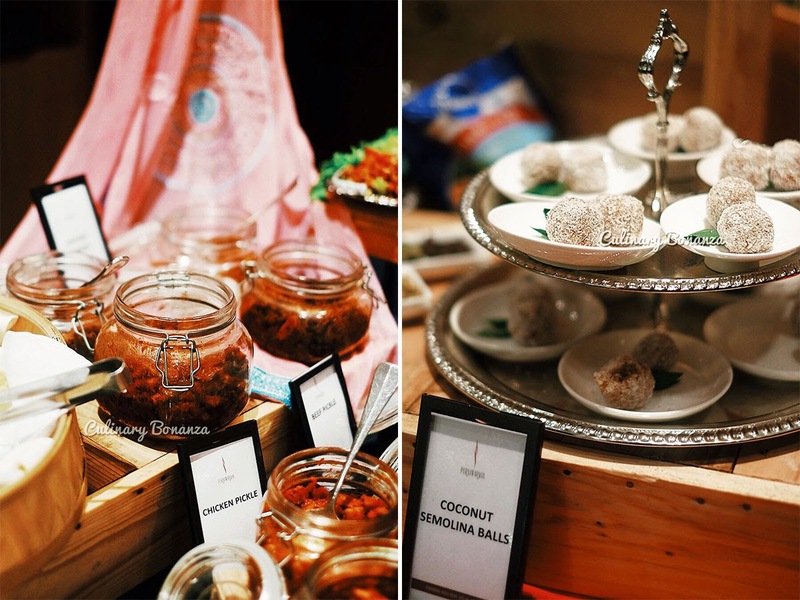 The feedback from the event must have been very positive, that this year, a similar event is organized once again, albeit under a different name and slightly different execution: Culinary Journey. It has been almost a year since event took place at Hilton Bandung and this year in March 2015, Culinary Journey is here to treat your taste buds with the delectable cuisines cooked by the guest chefs. This time round though, instead of having all 5 chefs together during the same period, the guest chefs are coming at different periods. The first week (11 - 15th March), there was Chef Daniel Chong from Conrad Seoul, and the second week (16 - 23rd March), was Chef Ashok Eapen from Hilton Garden Inn Trivandrum, Kerala. For the third and also the last week of Culinary Journey, Chef David Du of Hilton Shanghai will be cooking dinner for the guests. 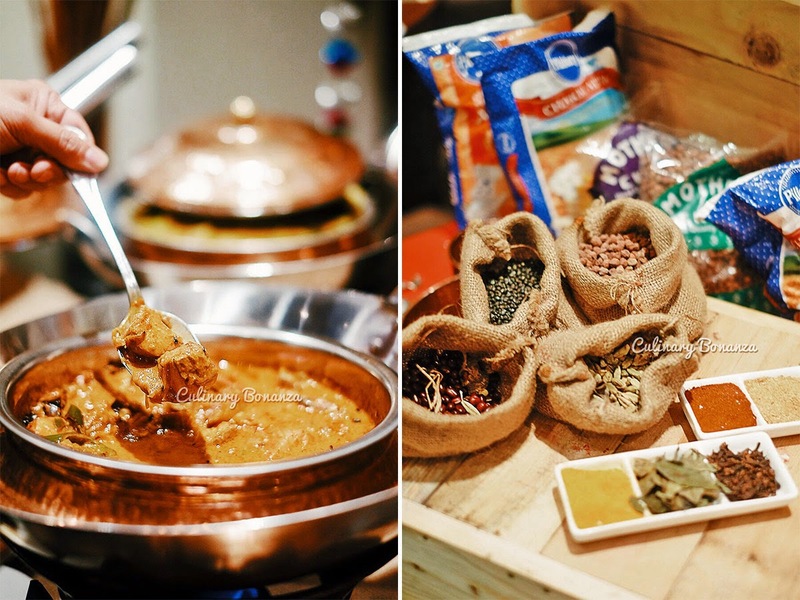 Just last weekend, I went to Hilton Bandung to sample the Southern Indian feast prepared by Chef Ashok Eapen. The journey to Bandung was not exactly a fun one, as we actually spent 5,5 hours on the road for a journey that was supposed to only take 2,5 hours *sigh...So you can imagine, how hungry we were on route to Bandung! But at least it meant that we only needed to wait for a shorter time until dinner started at Purnawarman Restaurant. Without further ado, let me take you on a tour around the restaurant, with particular focus on the Indian dishes that Chef Ashok had prepared. 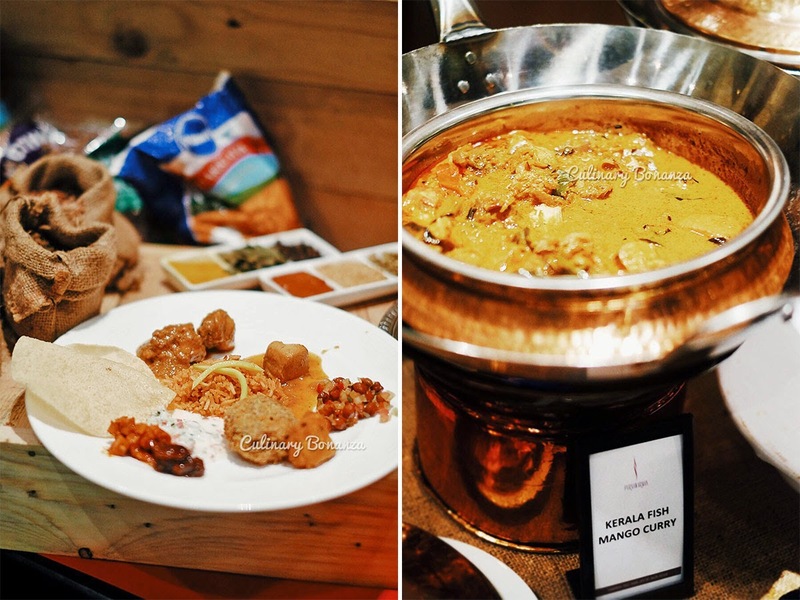 There was a special counter, at the same side as the VIP rooms, which is dedicated specifically to display the Indian dishes from appetizer, snack, main course to dessert. While the rest of the restaurant remains normally arranged as usual. Among the cornucopia of Indian dishes on display, I noticed that there's considerable variety of condiments, sauces and pickles (from vegetables to meat), which probably would be great to go with naan or other simple bread. 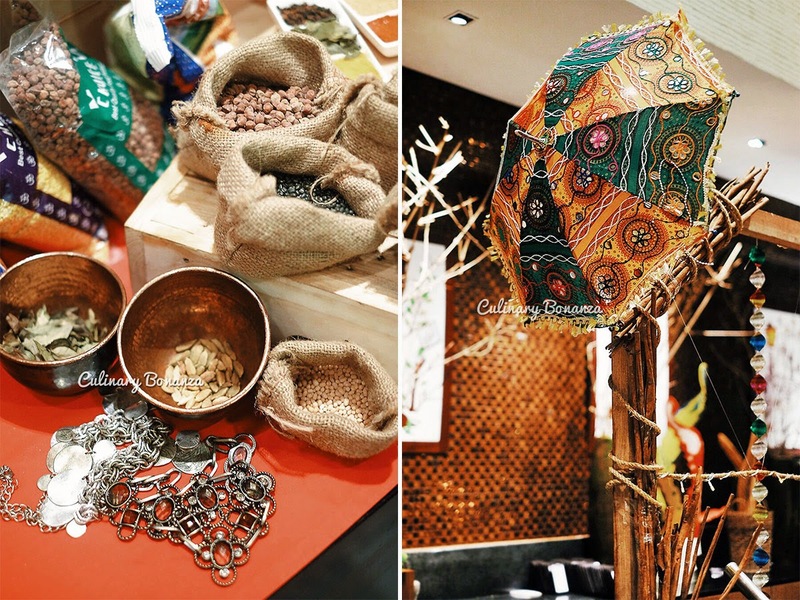 The options were not overwhelming, so you will definitely have enough space to sample each of the Indian items. Upon tasting the sampler plate that I'd fixed for myself (photo above), which had a little bit of rice, curry, fish, meat, etc, I realize that the food actually tasted quite familiar. It's familiar as it resembles a lot of Indonesian food from the liberal but still balanced use of spices, seasoning and coconut milk, yet relatively milder in terms of intensity of the flavours. According to Chef Ashok, this is one of the differentiating qualities of Northern versus Southern Indian food, where the Northern Indian cuisine is usually thicker and creamier the texture as they use yoghurt and heavy cream, while Southern Indian cuisine is generally have higher water content, uses a lot of coconut milk and is thus, less thick. Oh, how I always love to learn about the food I ate, from just a spoonful, it tells a lot about one's culture!